Clyde’s Ladbrokes League Two title aspirations are very much alive after coming from a goal down to see off Edinburgh City 2-1 at Ainslie Park. Blair Henderson’s penalty had edged the hosts in front little more than 60 seconds into the second half but two goals in the closing ten minutes from substitutes Ally Love and Kristoffer Syvertsen won it for the Bully Wee. The win sees Clyde leapfrog their opponents into second in the table with just three matches left to play. 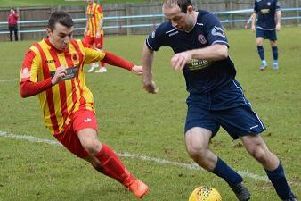 Danny Lennon’s men are four points off the pace of leaders Peterhead, who were held to a 1-1 draw by struggling Albion Rovers, with a decision due on Monday on their appeal to the SFA over the four-point deduction imposed on them last month. Lennon was thrilled with the application of his players and their never-say-die attitude. “They’re a special group. They’ve shown umpteen times this season a real will to come back in games after going behind,” he said. “If you’ve got ambition of trying to pounce on any mistakes by Peterhead then you’ve got to be ready. We need to be bold and go out and try and win every game. These guys bring the out best in each other every week. “There are twists and turns every week and that’s what makes it a fantastic league. After a fairly scrappy first half, the game burst into life when Danny Galbraith went down under the challenge of Barry Cuddihy 30 seconds after the restart. Referee David Lowe had no hesitation in pointing to the spot and Henderson coolly converted the spot kick to give the capital outfit the lead. Clyde upped the tempo and their patience was eventually rewarded in the 80th minute when Love pounced on a loose ball to fire home the equaliser from close range. And things got better for the travelling support four minutes from time when captain David Goodwillie’s cut back was finished off by Norwegian Syvertsen.